Terror sells and any publication centred around Al Qaida naturally makes a more compelling case. Despite the interest it generates by default, the terror group’s ability to grasp readers’ attention may have been watered down over the past decade by the deluge of publications that have maintained a steady flow. So it was with a preconceived “been there done that” mindset that I picked up the translated version of the memoirs of Nasser Al Bahri, who served as Osama Bin Laden’s personal bodyguard from 1997 to 2000. So much for pre-judgments. Guarding Bin Laden is much more than what may be called an “interesting narrative” — it is an exposé of the inner workings of Al Qaida and offers readers a rare glimpse into the mindset of the central leadership of the organisation. I expect it to lure a wide readership, not just of students and researchers interested in learning about how the world’s most powerful terrorist entity works. Moreover, it shatters many misconceptions — of indoctrination and training of recruits and of the relationship of Bin Laden with members of his organisation, including other members of Al Qaida’s core or central committee. It is equally fascinating to learn about how the core group under Bin Laden took decisions, whether it was launching terror attacks, allowing allegiance to local groups and resistance militias to become part of Al Qaida or formulating policies of not attacking civilians or launching attacks in countries deemed friendly or useful, to the organisation. While the death of Bin Laden in May 2011 would have ideally proven a death knell for Al Qaida, it has sustained itself by proliferating and launching new fronts worldwide. No doubt the capture and killings of many Al Qaida core leaders and of course Shaikh Bin Laden, the founder and chief of Al Qaida, has dealt it a blow, but it has managed to continue working towards realising its objectives. The doctrine of Al Qaida that Al Bahri lays down in simple terms is “reaction” — to the American invasion of Muslims lands and to them killing Muslims. It is the duty then of Arabs, according to the mandate of Al Qaida, to mobilise people and wage a struggle against the injustices perpetrated by the Americans. Though Al Bahri’s account is only up to 2010, before Bin Laden was killed in Abottabad, in northern Pakistan, by US Navy Seals, it lays down the parameters for us, external observers, to understand the methodology and functioning of the group. Post 9/11 Al Qaida may have figured as the primary opponent of the United States and other world powers that joined forces to wage a war against a movement that was both amorphous and self-perpetuating. While a decade and more of counter-terrorism operations have seen a visible diminishing of Al Qaida’s ability to launch global attacks, it remains a potent threat, having entrenched itself in resistance movements whose driving force is standing up to Western influence and intervention, direct or indirect, in Muslim lands. The scope of Al Bahri’s memoirs therefore extends far beyond the proscribed time-frame the book encompasses. Its relevance is timeless. The details of Al Bahri’s journey from a zealous young man seeking martyrdom to the time he becomes Bin Laden’s personal bodyguard sketch a vivid, turbulent picture, changing at every instance. What many young people in the Muslim world may empathise with is the lure of the call for jihad that is portrayed poignantly in Al Bahri’s quest to seek the ultimate goal — of dying while fighting to help oppressed fellow Muslims, whether in Bosnia, Afghanistan, Chechnya or Somalia. For the jihadist, the locale is not what matters; neither are the fights he engages in— a matter of identifying to a personal cause, but it is the overriding element of sacrificing one’s self for the sake of other Muslims who are suffering at the hands of infidel occupiers and oppressors, which is the ultimate sacrifice. Al Bahri’s account of his endeavours as a teenager in Saudi Arabia to go on Jihad is what sets the pace of the book. And it is what takes him to Afghanistan where he meets Bin Laden and gets to know him personally. 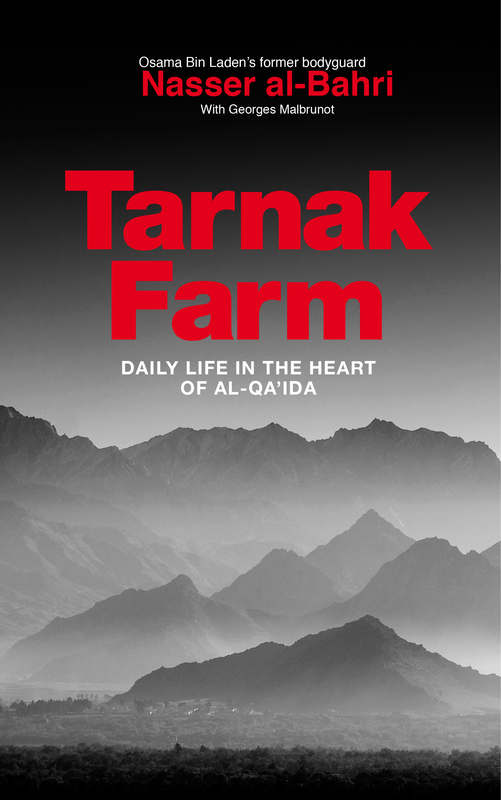 But before Al Bahri delves into his account of interacting with the Al Qaida leader, giving us a glimpse into the daily goings on at the headquarters in Tarnak Farm, in Afghanistan, other interesting questions are thrown in the course of the narrative. What is particularly interesting is the discussions of the conduct of the Saudi royal family and the manipulation of events by the religious hierarchy in the kingdom. The wealth and power and its exploitation and abuse by the ruling family in contradiction to what Islam teaches is often referred to in the talks Al Bahri as a young man has with other compatriots. Even when he narrates a discussion with his father who dissuades him from leaving for jihad by throwing to him a simple argument, it is easy to discern the lesson that discussion may have left somewhere on his impressionable mind, a message he managed to bury in his subconscious under his growing zeal to go at all costs. His father is the voice of reason, a religious man who prays regularly but one who is not swayed by the siren call of the jihadists. Interestingly, Al Bahri gives us a rare glimpse into what it must have felt to be part of the frenzy gripping hundreds and thousands of young men like him, whose ultimate goal is to be part of the jihad brigades. The air is electric with zeal, enthusiasm and a belief in one’s devotion to the cause of self sacrifice. The environment in Saudi Arabia at the time and the crackdown on Al Qaida members later by the Saudi authorities is vividly captured here. More so is the way money is arranged and utilised to send the jihadists around the world. Al Bahri’s initial mention of Bin Laden is in Saudi Arabia. At the time Bin Laden would be seen driving around Jeddah with his children or attending religious discussions. In stark contrast is the time we encounter Bin Laden again at Tarnak camp in Afghanistan, a man who then commanded Al Qaida’s empire with tentacles reaching far and wide. Surprisingly Bin Laden’s persona brought to us in this account is not of a man who inspires fear or awe. Al Bahri himself resists the Bayt on the shaikh’s hands until a much later time when he finally cedes and follows him without question, becoming an integral part of the organisation. Al Bahri’s role is cut out for him. It is here that we learn about Bin Laden’s personal preferences, his spartan nature, his wisdom and his qualities as a leader — especially when he allowed his subordinates to question and openly engage in debate, unlike other central figures in Al Qaida. Al Bahri’s comparison of Bin Laden and Ayman Al Zawahiri is particularly interesting as is the internal power struggle between the Egyptian Al Qaida members led by Zawahiri and Saif Al Adel and the Yemenis and other Arab Al Qaida members. There are more glimpses into Bin Laden’s personal life and his relations with his family members, which provide interesting insights into the man who comes across as a soft spoken, amiable yet contradictory personality. Contradictory, because even as he inspired blind obedience and allegiance among thousands, he, as Al Bahri shows us, was given to weaknesses — significantly of being influenced by his cohorts, of not investigating for himself certain cases and arriving at judgments based on what others led him to believe. By pledging bayt to Mullah Omar, the head of the Taliban, Bin Laden, in Al Bahri’s words, had diminished Al Qaida’s stature and role by decentralising his organisation and subsuming it with the Taliban. It may have been because of the fact that Al Qaida, numbering a few thousand at the time in Afghanistan, did not have much choice and colluded for the sake of expediency, since it had not prepared another base (purported to be either Somalia or Yemen) to move lock, stock and barrel. Al Bahri’s decision to part ways with Al Qaida and the journey this break from Bin Laden takes him on is in itself interesting. The account of his struggle to carve out a new but ordinary life, having lived like a jihadi most of his life, his subsequent arrest, captivity and rehabilitation mark another phase in the turbulent narrative that also offers useful insights for the rehabilitation of those that have been radicalised. The self critique though subdued is enough answer to those questions that arise by default pertaining to jihad, the reasons for radicalisation, hatred of the West, particularly America because of its policy towards Muslims, why Al Qaida’s target has been the US primarily and not Israel, the dichotomy within the organisation’s core command as far as targeting of civilians and other Muslim governments, among many others. The flow of the narrative is not marred in the translation, neither are the other characters introduced to us by Al Bahri lacking in depth. The success of any publication lies in the impact it has on the reader. It is not that “Guarding Bin Laden” is without faults, these are few and far between, not significant enough to deter even a second or third read. This entry was posted in Uncategorized and tagged Abu Jandal, al-Qa'ida, al-qaeda member, Ayman al-Zawahiri, bin laden bodyguard memoir, nasser al-bahri, Osama bin laden, senior al-qaeda member, tarnak farm on August 2, 2013 by susandemuth. Nasser al-Bahri was Osama bin Laden’s personal bodyguard from 1997 to 2001. In his memoir, Guarding bin Laden: My Life in al-Qaeda, published today for the first time in English, he describes how he became radicalized, defied his father and ran away to the Bosnian ‘jihad’ in search of ‘martyrdom’. Soon, he moved to Afghanistan where he fulfilled his dream of joining al-Qaeda; Osama bin Laden was quick to single him out to train for his own security detail. Al-Bahri’s first doubts arose when he was instructed to cold-bloodedly murder a colleague as ‘practise’ for killing an American soldier. Later, he met the men who would carry out the 9/11 attacks…playing a video game which simulated flying a plane into towers. As the organization geared up for 9/11, tensions mounted and al-Bahri began to look for a way out. Married, and with a baby on the way, he had started to lose faith in violent extremism and longed for a ‘normal’ life. After a row with bin Laden, al-Bahri abruptly left, with his family, for his native Yemen. On the FBI’s ‘most wanted’ list, he was arrested on arrival and interrogated by the bureau’s Ali Soufan who described him as ‘a gold mine of information’. After four years in jail, under threat of extradition to Guantanamo, he convinced Yemeni President Saleh, in a private interview, of his repentance. For Michael Scheuer, former head of the CIA’s bin Laden unit, Bahri’s account of al-Qaeda is ‘more important than that of any high-ranking prisoner we transferred to Guantanamo’; he has given international intelligence services a clear picture of what they were dealing with in Afghanistan and what we may face again if – as many experts predict – al-Qaeda re-establishes itself in Syria and Iraq. In vivid detail, Bahri describes every day life in al-Qaeda’s secret headquarters with its elaborate defences, strict hierarchy and organizational methods. He tells of battles and suicide bombings, spies in the camp and numerous assassination attempts on bin Laden. On a more personal level, he discusses bin Laden’s personality and habits, his relationships with his four wives and his children, and his attitude to his deputy, Ayman al-Zawahiri – now al-Qaeda’s leader. Bahri also reveals how the Taliban and al-Qaeda became inextricably linked and were helped by Pakistan’s Army and Intelligence. Guarding bin Laden: My Life in al-Qaeda was written with celebrated Figaro journalist, Georges Malbrunot. It was originally published in French in 2010 as Dans l’Ombre de ben Laden. This is the first English translation, by Susan de Muth and is published by Thin Man Press, London. Guarding bin Laden: My Life in al-Qaeda is available in paperback from Amazon priced £9.99/$14.95/ €12.99 and on Kindle and all e-book formats. This entry was posted in Translation and tagged al-Qa'ida, al-Qaeda, Ali Soufan, bin Laden, FBI, Georges Malbrunot, memoir, Michael Schueur, nasser al-bahri, Osama bin laden's bodyguard, President Saleh, reformed, Taliban, Yemen on June 25, 2013 by susandemuth. Nasser al-Bahri spent four years in al-Qa’ida’s secret Afghan HQ, Tarnak Farm, from 1997 to 2001, when the organization was at the height of its powers. Al-Bahri is the only verified senior al-Qa’ida member at liberty to talk about his experiences and the build-up to 9/11. This is a dramatic, vivid and detailed account, with tales of spies, car chases, assassination attempts and elaborate security measures including fake walls, tunnels and underground chambers. Al-Bahri describes the characters and relationships of the al-Qa’ida leaders, including today’s number one, Ayman al-Zawahiri, and the late Osama bin Laden, his four wives and their many children. He reveals the close alliance between al-Qa’ida and the Taliban, as well as the extraordinary involvement of the Pakistani Army and security services with both organisations. Al-Bahri hopes that the story of his own radicalization and eventual break with al-Qa’ida will deter other young men from following the path of jihad. This entry was posted in Translation and tagged 9/11, Abu Hafs al-masri, Abu Jandal, al-Qa'ida, al-Qaeda, Ayman al-Zawahiri, Dar es Salaam, headquarters, jihad, jihadi, Nairobi, Osama bin laden, Taliban on April 30, 2013 by susandemuth.